The Southcombe Firemaster Non Structural Gloves have unique ergonomic curved finger design paired with a hard-wearing combination of PYROHIDE and Kevlar. 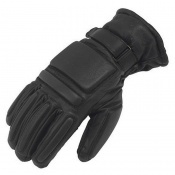 Over the top of the leather at the roll tip fingers and around the palm and thumb, a FR coated Kevlar material has been added which provides enhanced abrasion and cut resistance. 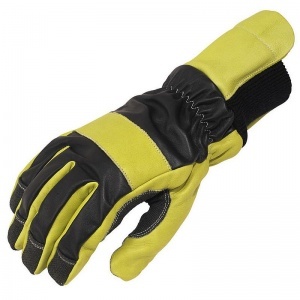 The Southcombe Firemaster Non Structural Gloves feature a snug fitting knitted acrylic cuff and a revolutionary seamless knitted lining of Kevlar with glass-fibre offering the highest level of cut resistance currently available on the market as well as active perspiration technology through the Viloft plating on the face of this lining yarn. 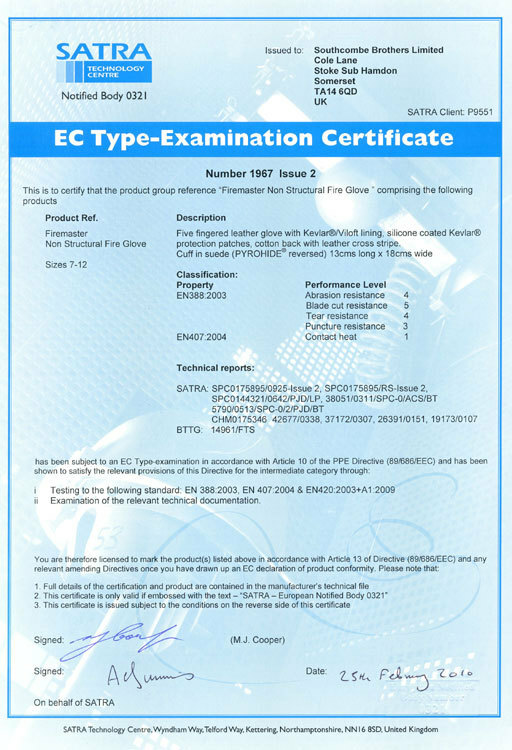 The glove is certified to EN420 and EN388. 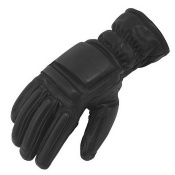 PYROHIDE leather on palm, across back of knuckles and back and palm wrist pulls. 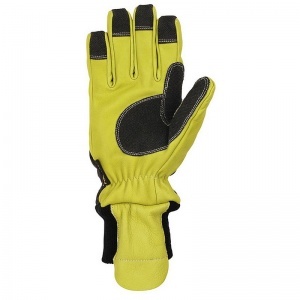 Hard wearing, fire retardant neoprene coated KEVLAR fabric on palm, thumb crotch and at finger tips aid grip in the wet, improve the contact heat resistance and to provide additional abrasion resistance in these strategic locations. 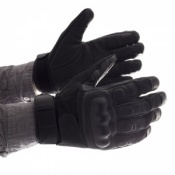 Provides exceptional levels of dexterity required to perform extrications and technical rescues.